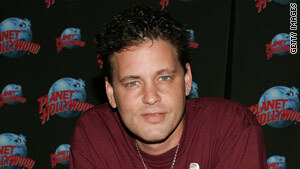 Corey Haim, who struggled for decades with drug addiction, died March 10. Los Angeles, California (CNN) -- The Los Angeles County coroner's office has subpoenaed medical records from 20 doctors in its investigation into actor Corey Haim's death, a coroner investigator said. Haim, who died earlier this month, obtained drugs using prescriptions written under the names of these doctors in the past year, Los Angeles County Deputy Coroner Ed Winter told CNN on Friday. California drug investigators found evidence that Haim, who fought a decades-long battle with drug abuse, used at least one fake prescription to obtain a narcotic in the months before he died, California Attorney General Jerry Brown said last week. The coroner is waiting for toxicology results before deciding if drugs were involved in the death of the 1980s teen movie actor, Winter said. Those test results are several weeks away, he said. An autopsy revealed that Haim, 38, suffered from pneumonia, an enlarged heart and water in his lungs when he collapsed at his Los Angeles home on March 10, Winter said. "We get medical records all the time," Winter said. "What's kind of unusual in this is how many doctors are involved." Pharmacy records show the actor got thousands of potentially dangerous pills from multiple doctors in the past year, according to Brown. State investigators know that Haim obtained "massive amounts" of legal drugs "in what looks to me like a questionable manner because of so many doctors," Brown said. "How many people go to 10 or 15 or 20 doctors and then run around to 10, 12 and more pharmacies to go fulfill them and sometimes two different doctors in the same day?" Brown asked. Haim did not necessarily visit all of the doctors, but the prescriptions carried their names, he said. An arrest was made last week in connection with an "illegal and massive prescription drug ring" connected to at least one of Haim's prescriptions, Brown said. The ring involved the use of stolen identities from doctors to order official prescription pads, he said. "Once they get that prescription pad in the doctor's name, then they can write a prescription, or they can sell it to someone to write a prescription like Corey Haim," Brown said. "Then he can go into the pharmacy and get his legal drugs illegally." Although the actor's family said Haim had reduced his drug use to near zero, Brown said that he didn't see "any 'zero' pill consumption." Haim's most recent prescription was filled March 5 for Vicodin, he said. "In the weeks before that, more Vicodin, more Valium and other things," Brown said. "If you go back to 2009, you're talking thousands of pills," he said. "You're talking many, many doctors. I doubt if they know about each other. You're talking about many, many pharmacies." In recent years, the actor was reunited with longtime friend and frequent co-star Corey Feldman in a reality show. "The Two Coreys" ran for two seasons on the A&E Network before it was canceled. Haim's most famous role was in the 1987 movie "The Lost Boys," in which he also appeared with Feldman. Haim played a fresh-faced teenager whose brother becomes a vampire.